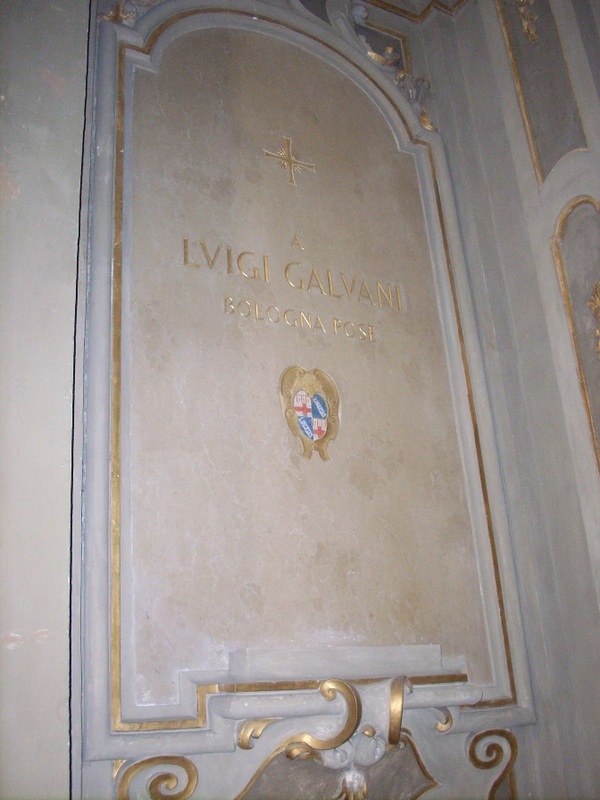 The remains of Luigi Galvani are preserved - next to those of his wife Lucia Galeazzi - in a lateral chapel of the church of the Corpus Domini, in Bologna (via Tagliapietre, 19). 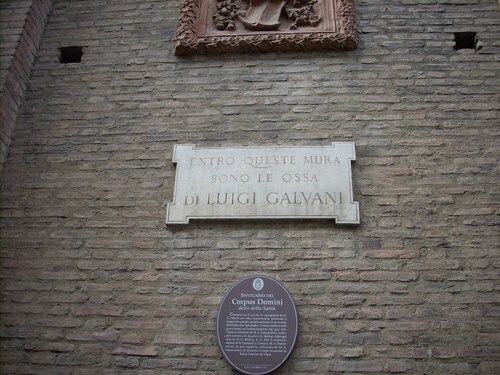 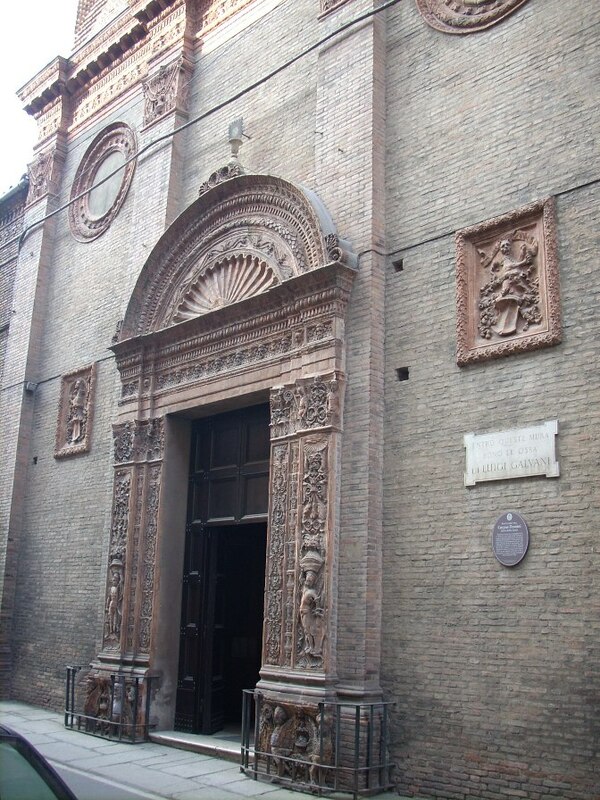 On the external wall of the church, there is the following inscription: "ENTRO QUESTE MURA / SONO LE OSSA / DI LUIGI GALVANI". 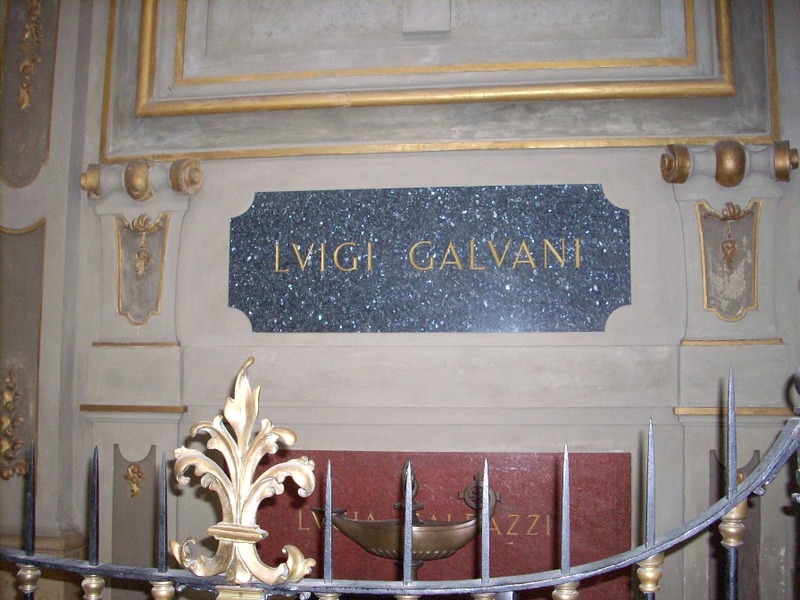 In the same church - famous for containing the incorrupted body of XVth Century saint Catherine de' Vigri - the celebrated woman scientist Laura Bassi is also buried. 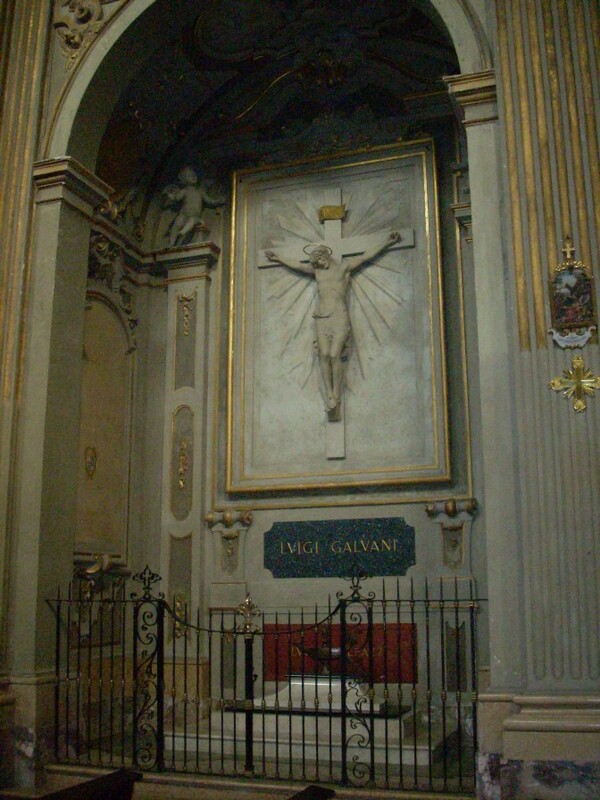 Galvani's body had been previously buried in the monumental cemetery of Bologna, "La Certosa"1. 1. Cf Emilio de Tipaldo (per cura di), Biografia degli italiani illustri, dalla Tipografia di Alvisopoli, Venezia 1837,vol. 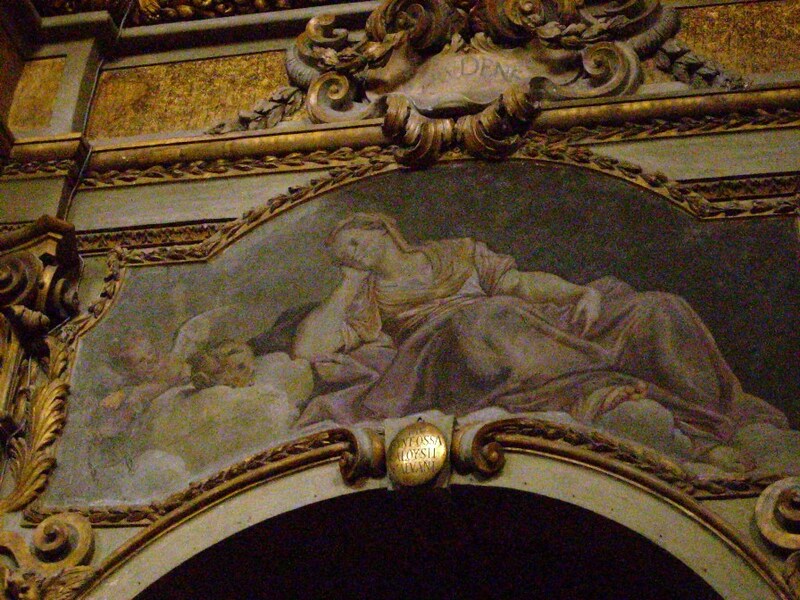 IV, p. 288.